Description: Futsal is an indoor, small‐sided game played on a hard surface with a heavier futsal ball and smaller-sized futsal goals. Parent coaches will run the ASF & Grade 1/2 sessions and Revolution Academy coaches will run the Grade 3/4+ sessions. Benefits: Futsal improves players’ decision making skills, improves players’ reaction time, provides players with many touches on the ball, increases players’ power via the weighted ball, develops players’ confidence and improves players’ creativity in 1v1’s. Time Slots: 1 hour for advanced small fry and grade 1/2 players, 75 minutes for grade 3/4 players, and 90 minutes for grade 5/6/7/8 players. 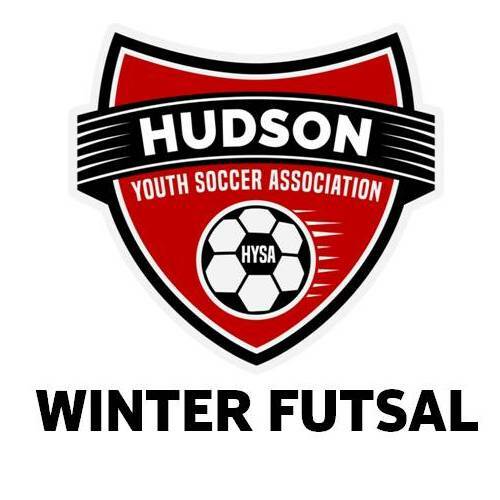 Grade 3/4/5/6/7/8: Hudson MetroWest Boys and Girls Club, 1st floor gym, 21 Church Street, Hudson, directly off of Main Street, in downtown Hudson. Due to other activities and limited parking, sessions are intended to be drop‐off and pick‐up. Required: Players should wear a t‐shirt, shorts, soccer socks, shin‐guards, and non‐marking indoor soccer shoes or sneakers, and should bring water. A futsal ball is optional. Registration: Go to our Registration page to register.